Any excuse to make homemade bread works for me. Oh, we’re having pasta for dinner. What a perfect opportunity to make that new bread recipe I’d been waiting to try out. I should probably attach a warning to this recipe. 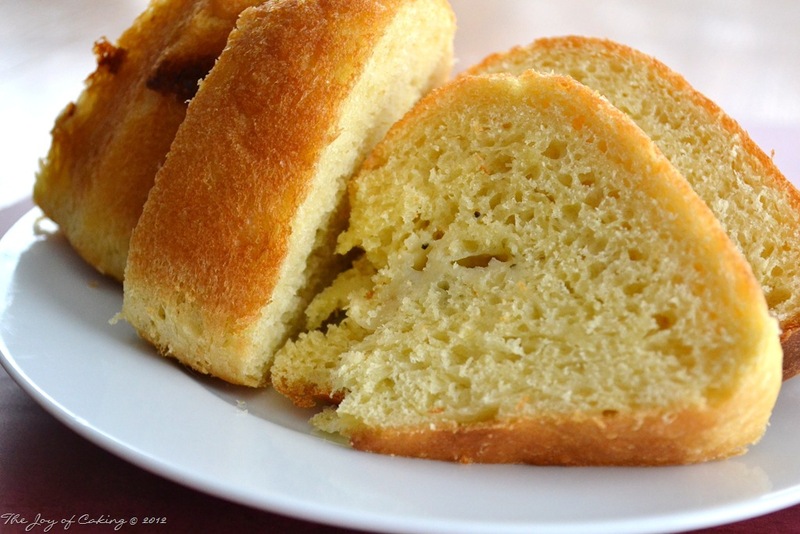 This bread is so good you won’t be able to eat just one slice. Hence, you’ve been warned! This recipe came from the Pillbury’s More Lovin’ From The Oven cookbook and it is considerably different than most bread recipes. The first difference is there is no kneading required – yea! The second, it only has to rise once, not twice – yea again! 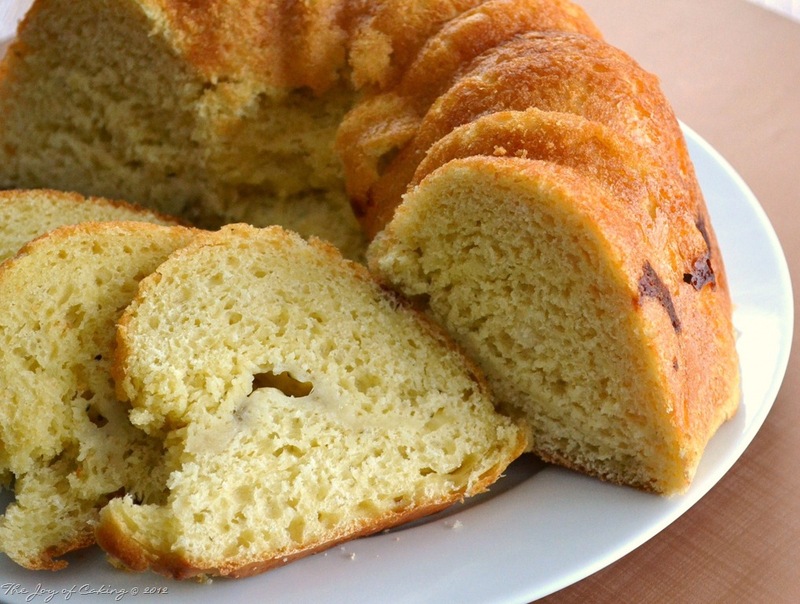 And lastly, this bread is baked in a Bundt pan making it easy to slice and pretty to serve. Quite often I modify recipes to suit my own tastes but the only modifications I made to this recipe was the reduction of salt by a half of teaspoon, and the exclusion of sesame seeds. Generously grease a 12-cup fluted tube, or 10” tube pan. Sprinkle with sesame seeds (optional). In large bowl, measure 2 1/2 cups flour, sugar, salt, and yeast; mix well. In medium saucepan, add water, milk, and 1/2 cup of margarine; heat until very warm (120 – 130 degrees). Add warm liquid and eggs to flour mixture. Mix until moistened. Stir in remaining flour and continue mixing until batter stiffens. *Note – I found the batter was ready when it pulled from the sides of the bowl but was still sticky. I would recommend using a stand mixer with dough attachment for this recipe – I did manage with a small hand held kitchen mixer, and by hand, but I won’t encourage you to do the same. In small bowl, make filling and mix all ingredients completely. Spoon half of batter into the prepared pan. Carefully spoon filling over top of the batter. *Note – be sure to keep the cheese filling away from the edges of the pan. If too much cheese seeps out of the sides the bread will stick to the pan. I had a little trouble with my bread sticking to the center of the pan because of this. Spoon in remaining batter over filling. Cover batter with the plastic wrap sprayed with non-stick cooking spray. Let rise in warm place until doubled in size. Heat oven to 350 degrees. Bake for approximately 30 minutes, or until bread is golden brown and sounds hollow when tapped. Remove bread from pan immediately after removing from oven. Serve warm or cool. This recipe serves 24. So what’s your excuse going to be?